EDI allows individuals to transform ordinary photographs into expressive images conveying personal experiences, thoughts, and feelings. Often, this depth of expression is not possible through words alone. EDI provides a creative outlet without the need for any artistic skills or training. 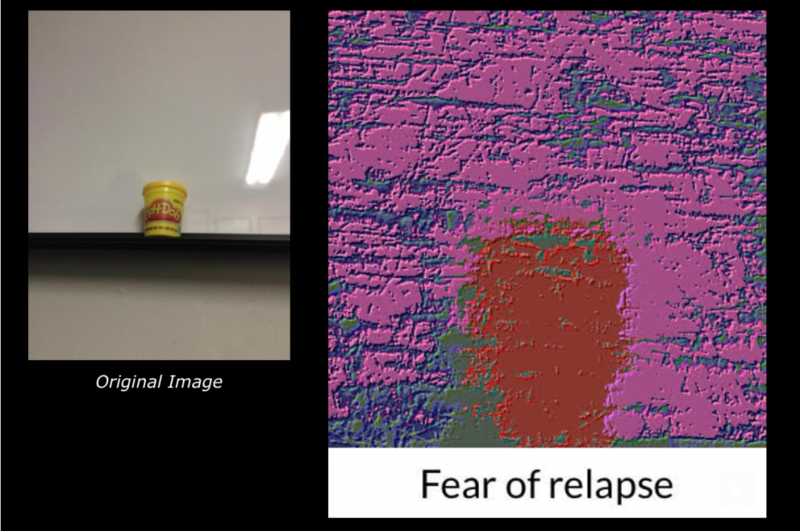 In this example, a patient in recovery from addiction expressed his fear of relapse through an abstract image that began as a simple snapshot. He shared his image with clinicians and peers as an integral part of his treatment program.